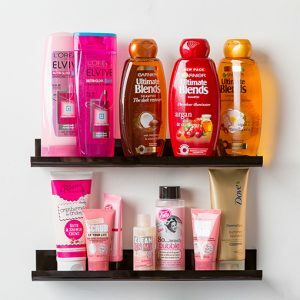 Best Nail Polish Rack Amazon Coupon Offer: Over 50% OFF! Amazing “Less than Half Price” Offer! That’s a whopping 57% OFF ! 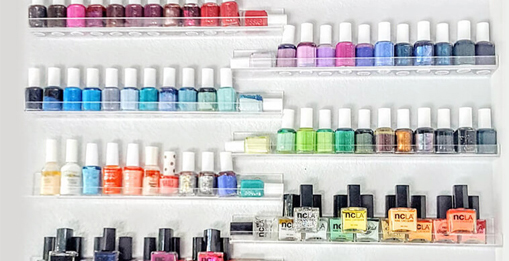 Having a huge nail polish collection is great – until it comes time to actually make it look neat and tidy. 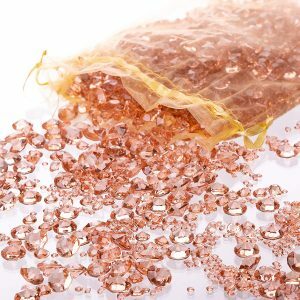 Organizing all of your beauty products is key, of course, but if you’re a card-carrying nail polish aficionado, you’ll know full well just how easily nail polish collection get out of hand. 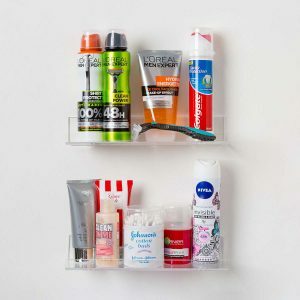 Rather than overflowing your deep shelf in your bathroom closet, or worse, finding bottles scattered everywhere, get the best storage solution for your needs! 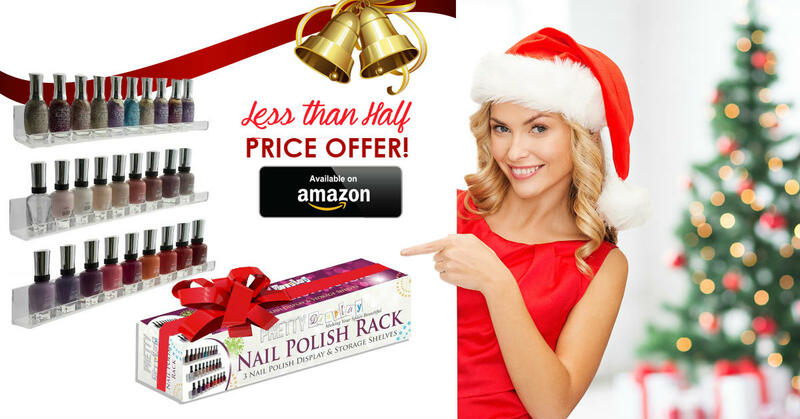 Now get the Best Nail Polish Rack Offer- more than 50% OFF on this Gorgeous Nail Polish Rack Amazon! A lot of nail polish junkies are satisfied with this clean, classic setup is anything but boring, and if your polish collection is particularly expensive, these large racks will organize it nicely without totally overwhelming your space. 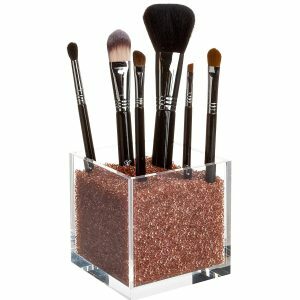 Not only for personal collection but this acrylic nail polish rack is also perfect as a display on your salon! Making sure your clients choose the right colour for them as they can view all colours. Trying to find the perfect present for the makeup lover in your life? Last thing any beauty addict needs is more beauty products. How about give them something to help them organize their collection? 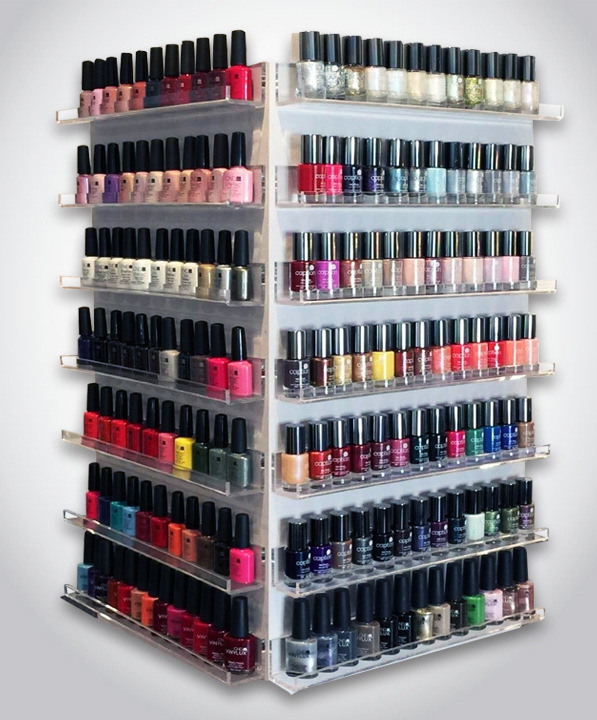 Pretty Display Nail Polish Rack is perfect for that! 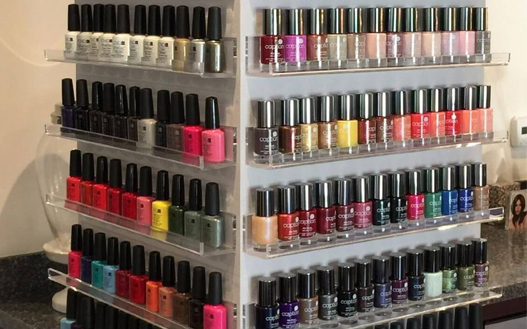 This Nail Polish Rack offer will end soon. 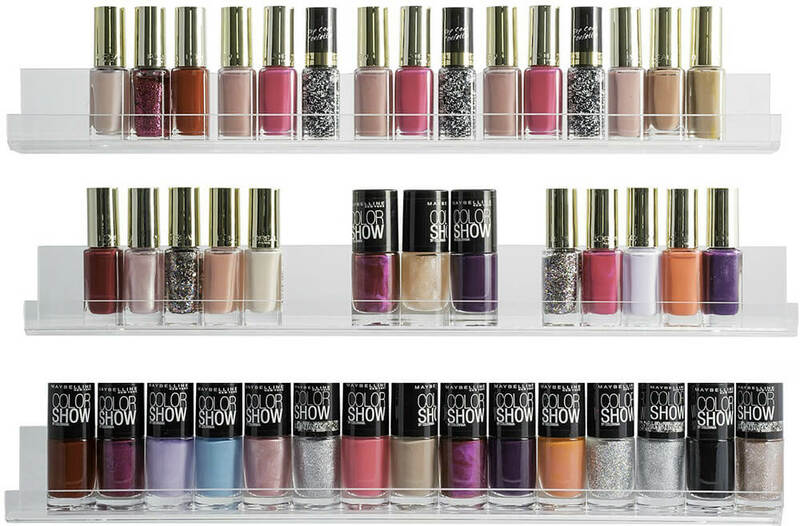 Grab Your Amazon Nail Polish Rack Coupon Code NOW! To put it lightly, too much is never enough when it comes to nail polish. There are now many nail polish racks and organizers available in the market. 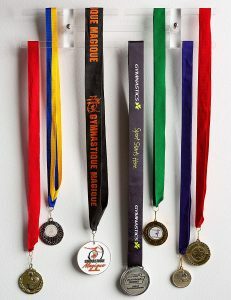 From hanging racks to counter racks, they also vary in sizes, color material, reliability and placement. Hence, it can become a headache to decide which one to buy. There are a few types of nail polish racks. 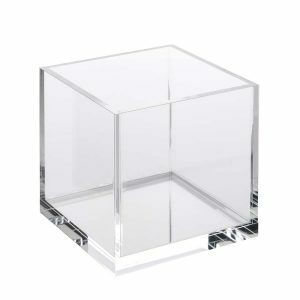 One of them is the acrylic nail polish organizers that are professional, look clear and have a minimalist design. This design emphasizes the colors of your polish collection. Acrylic polish racks are quite heavy compared to metal and wooden racks, which makes them easy to hang. Pretty Display Nail Polish Rack is becoming one of the best nail polish rack as it silently capturing the hearts of customers. This is evidenced by the many 5 Star reviews on Amazon. 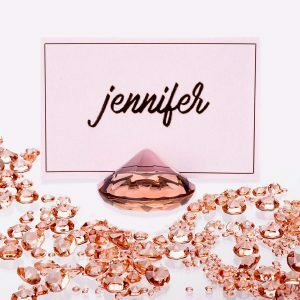 As a blogger and self-proclaimed secret hoarder, Jenny has mastered tricks and tips to keep her collection tidy and neat so that nobody will ever try to take my beauties away from me. Here she is showing how she display her over 400 polishes. 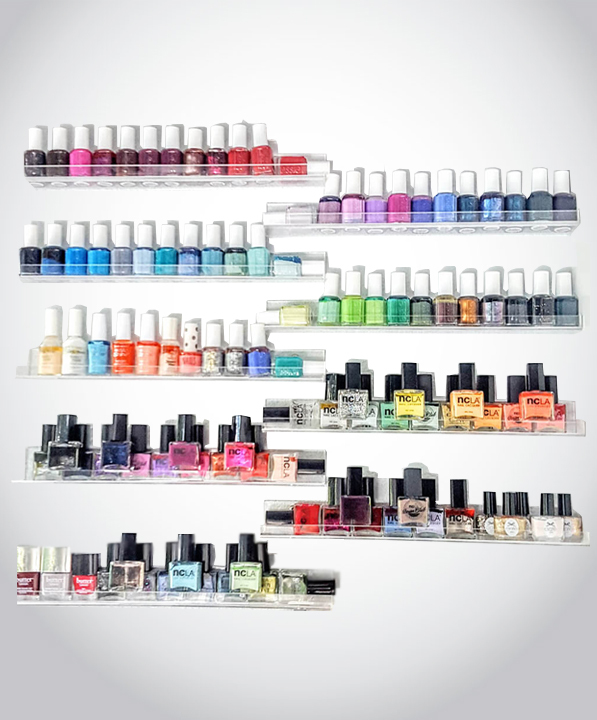 She decided to show them off by purchasing stylish Pretty Display nail polish racks to create her own decorative polish wall organized by brand, color, and size. Not only best nail polish racks but also a great way to display your other collections such as essential oils and miniature paints and even make-up too. 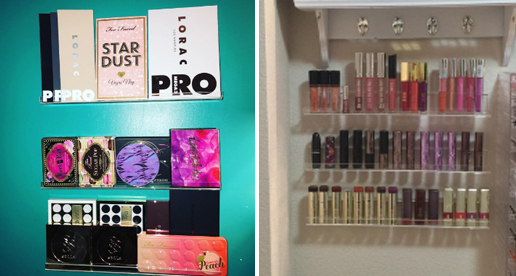 Here one customer shows how she uses this nail polish rack for her growing eye shadow palettes. Deciding what eye shadow to have so easy every morning. You can also use them for your growing lipstick collection! Lots of people are using these racks for their essential oil collection. It is important to store your oils on a clean surface to extend their storage life. You can keep them on the bathroom so that everyone can enjoy and find them easily. 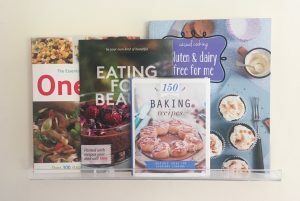 Here are some photos from our customers who are definitely not disappointed. 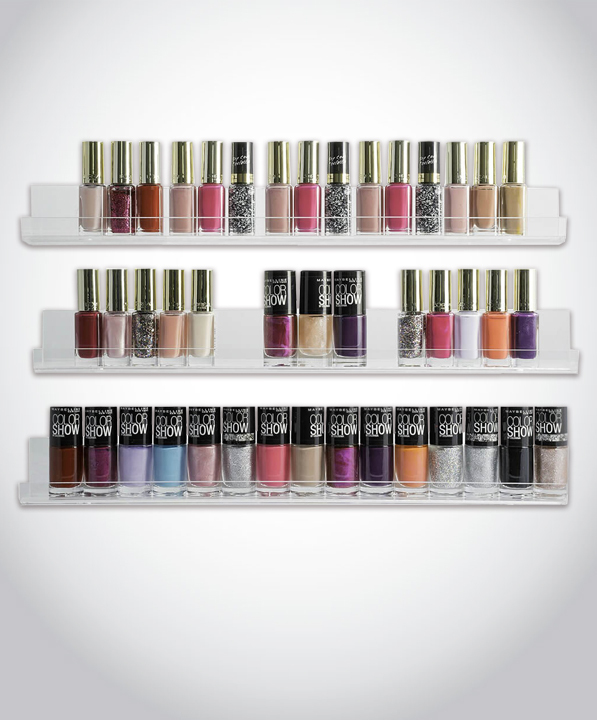 Pretty Display Nail Polish Rack is a pretty way to show off Your nail polish collection. Because your nail lacquers deserve to be displayed in style. If you are proud of your collection there’s no reason not to show it off, right? And it only takes few screws to create this streamlined storage solution. This entry was posted in Specials and tagged A Youtube, Nail Polish Rack, nail polish rack amazon, nail polish rack coupon, nail polish rack discount. Pretty Display Nail Polish Racks: Awesome Way to Bring Gift of Organization!